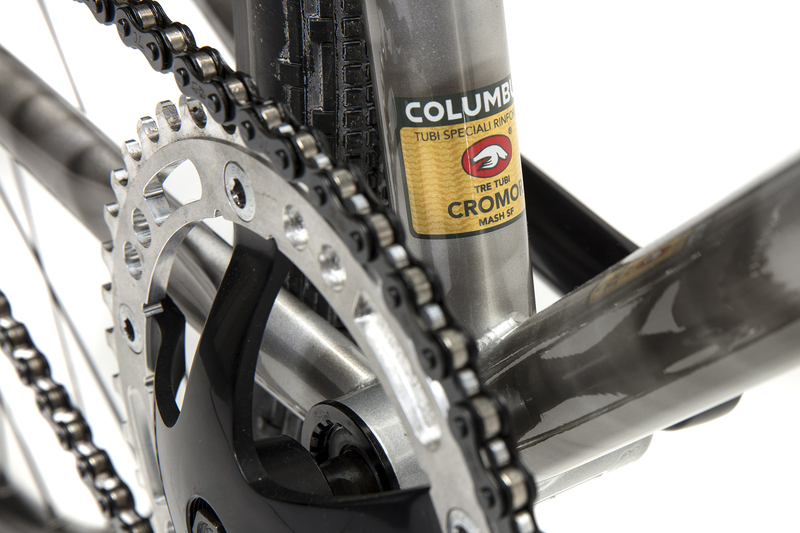 Frames are built with Columbus Cromor triple butted steel tubing. We love the balance of strength to weight for this set. 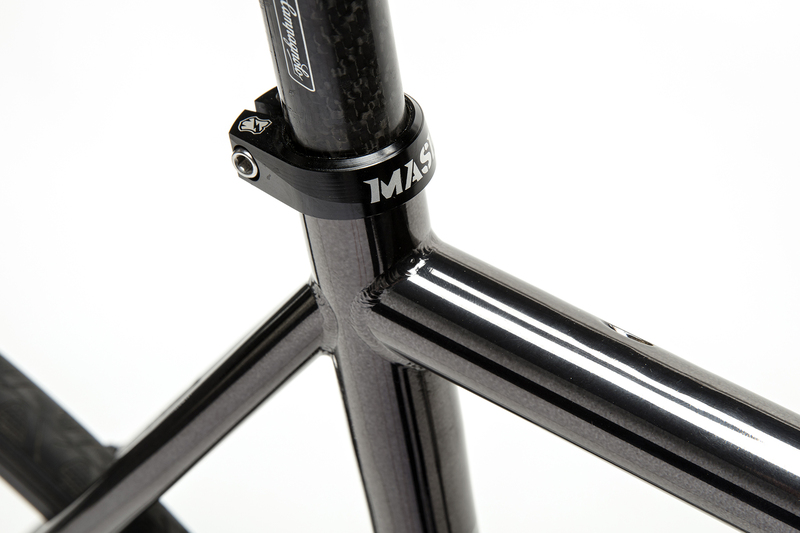 The Black Chrome finish of the frame is fully chrome plated then coated with a black clear. 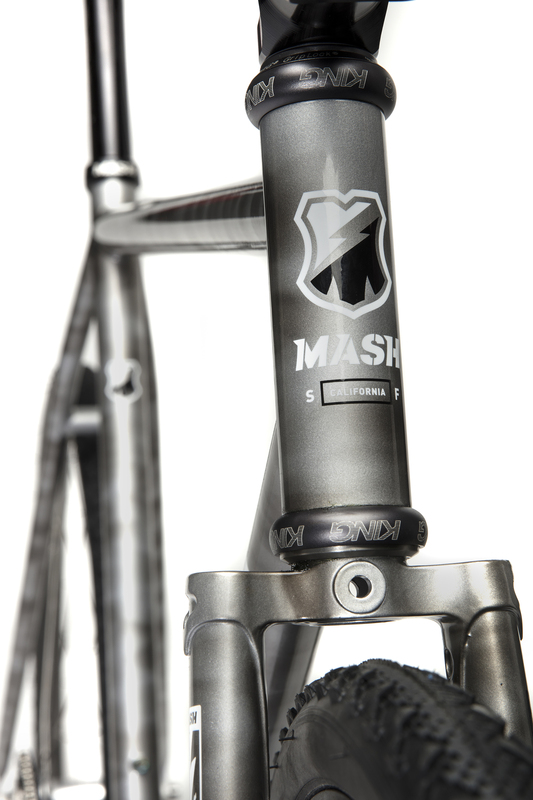 Over time these painted frames can chip to chrome like many of the classic Italian road bikes. 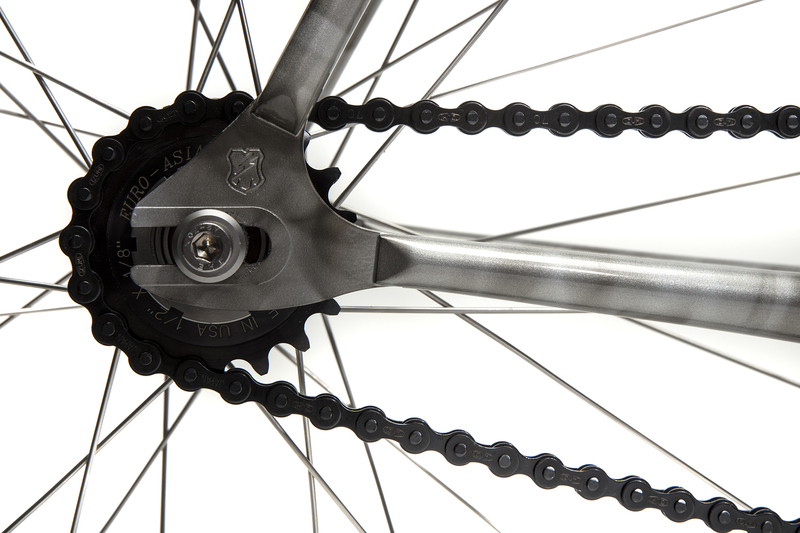 The downtube and rear dropouts are a window to this layer. We offer 5 sizes with subtle geometry updates based on three years of development and testing in the dirt and on streets. 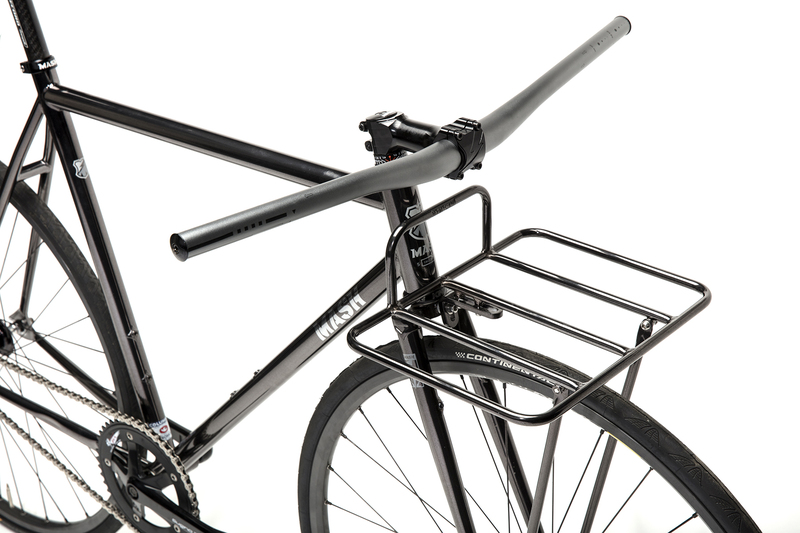 Framesets include a removable seat collar and rear cable guide if set up with cantilever brakes. 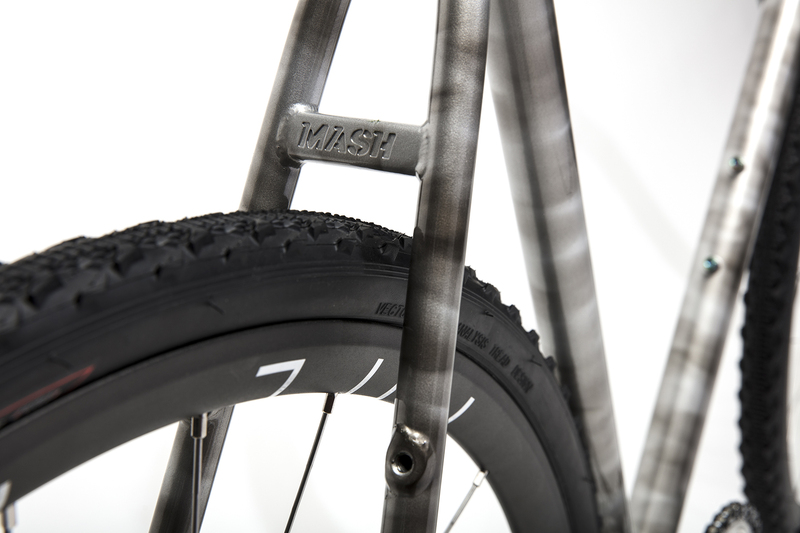 The silver smoke finish draws inspiration from paint techniques of the early 90’s. This metallic silver base with smoke contrast creates a beautiful finish with white artwork on drive-side, and black on the non-drive. 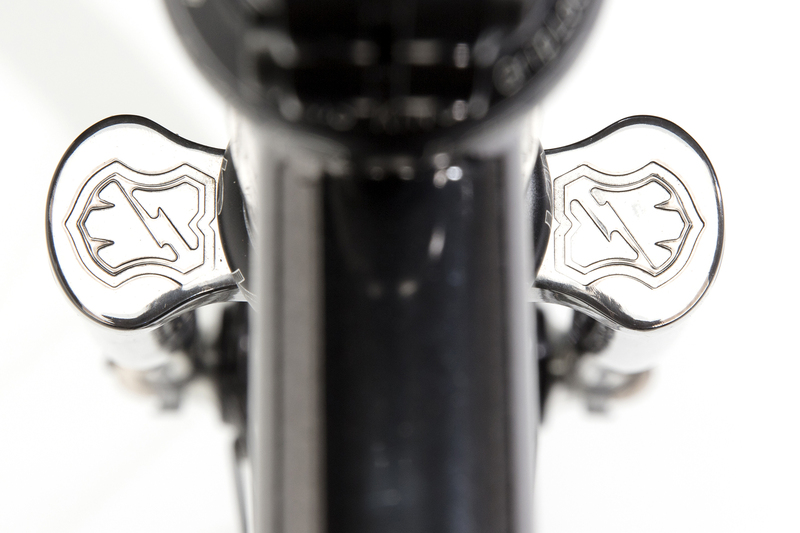 Each frame includes the top cap for 1 1/8 threadless stems, the bolt, and star nut. 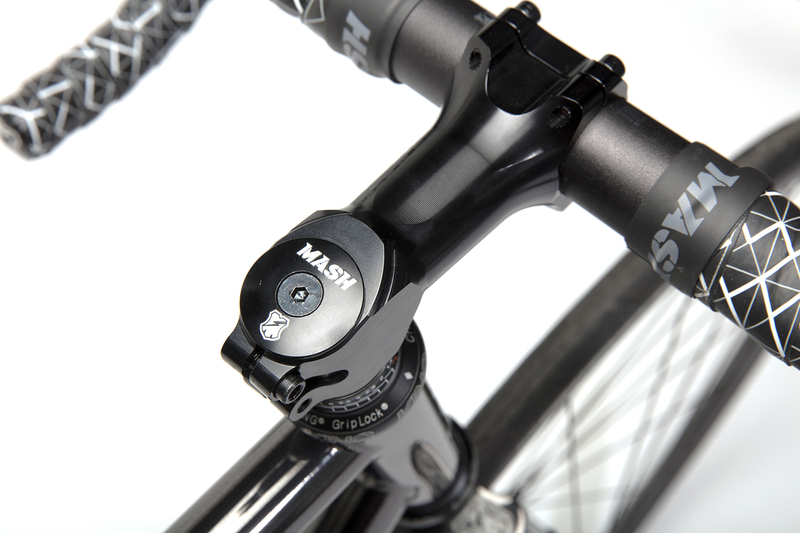 These frames have removable brake studs and internal cable routing. 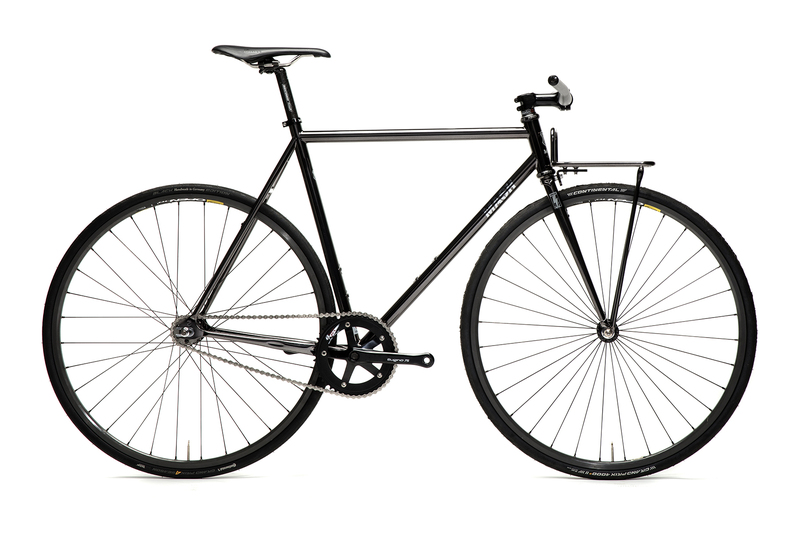 You can run them as lean brakeless street bikes, or set them up with brake options for canti or mini-v options for racing or commuting. 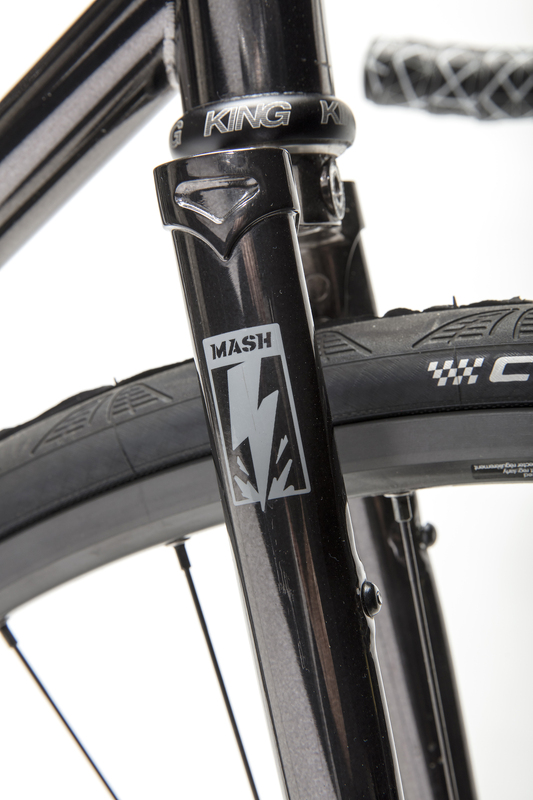 The fork includes a brake hole that can be used for mounting a rack, fenders, or long reach caliper. 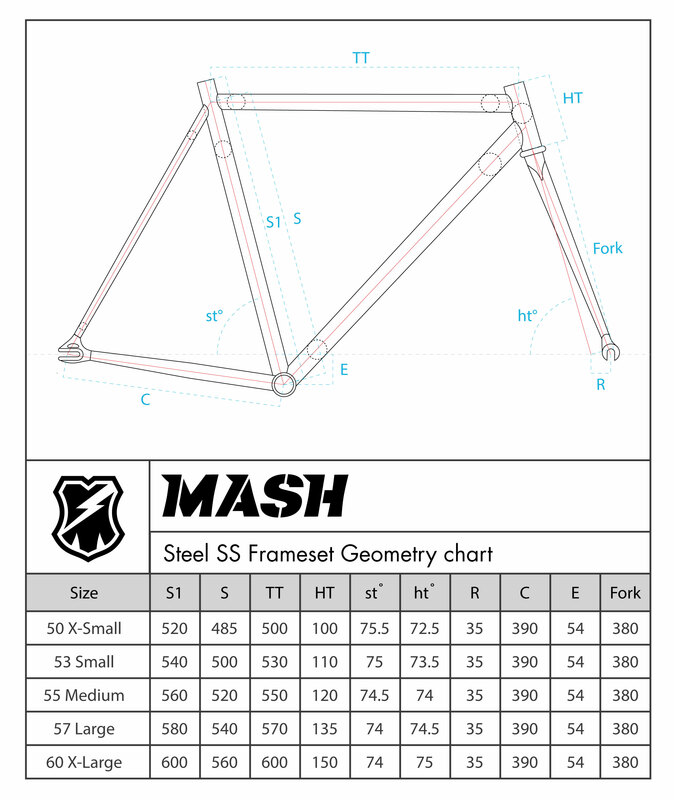 Our pre-order for both finishes of this frameset are available today, and will begin shipping worldwide at the end of March. If you are in Japan, you can pre-order both designs from Blue Lug in Tokyo. 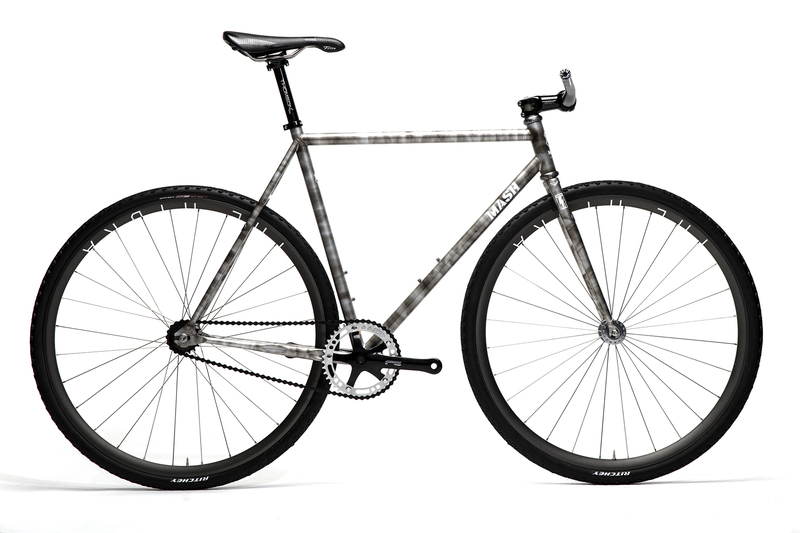 If you are in New York, you will be able to get frames and components from Deluxe Cycles. We do not have any additional dealers at this time, but hope to offer frames to a few new shops as we grow. Look for new designs in 2018 including front racks, riser bars in alloy and carbon, and toe clips, as well as collaboration projects with Izumi and MKS this spring. 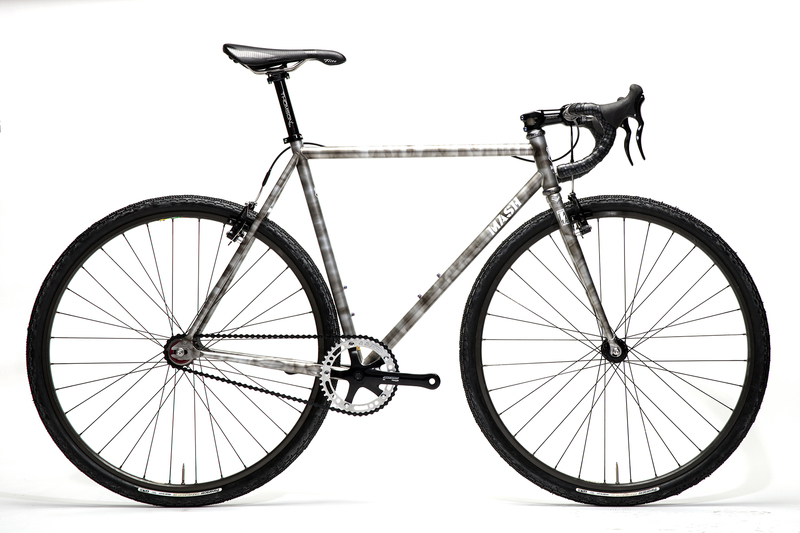 We will continue to offer additional frame designs including an aluminum/carbon track frameset this fall. Thank you for riding with us as we embark on this next journey!